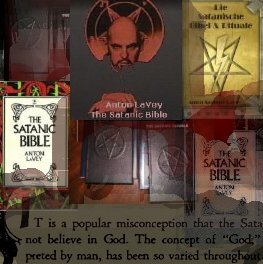 established in LaVey's Satanic Bible. But what they state is nothing more than pure logic to the Modern Satanist. shall be the whole of the law!" The Spring Equinox: March 21st, Satanist new year or Crux. Beltane or Walpurgisnacht: April 30th, Day of lust and indulgence. The Summer Solstice: June 21st, Day of Celebrating ones sense of humor. Lughnasad: July 31st, Day of the celebration of being the predator not prey. The Autumn Equinox: September 21st, Time to reflect on ones self. All Hollows Eve or Halloween or SamHain: October 31st, The Fire festival, the time to settle the score with destruction rituals, curses, and Revenge. The Winter Solstice: December 21st, The Celebration of being self-amancipated. Imbolc or Candlemas: January 31st, Day of indulgence and fertility. Your Birthday whenever it is, Celebration of your birth and a celebration of life and your accomplishments.